There is an unbelievable amount of reasons that people train and exercise. 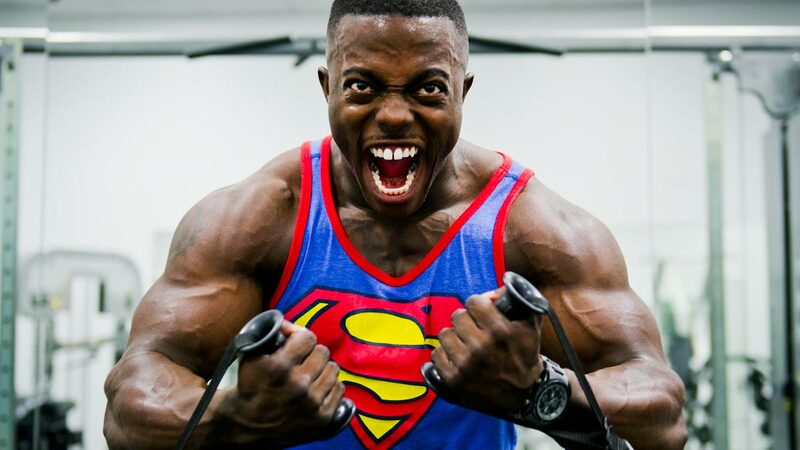 Some train for aesthetic purposes, others for a specific sport or event, and then there are people who want to make their bodies as capable and healthy as possible for the demands that life may bring. There aren’t many wrong reasons to mindfully move more. Whatever the reason, the demands that the sport of mixed martial arts imposes on the body seem to cover them quite well. The numerous and unpredictable ways that an outside force is going to attempt to bring you down and stop you from accomplishing your goal is astounding, all while gravity is only adding more downward pull on your body. Sounds a lot like life sometimes, eh?! Prepping for these demands requires one to be in deep and honest communication with the body (think nerve efficacy and positional awareness/refined motor control). The joints and tissues have to be supple and stable to deal with the odd positions/angles/twists/impacts/falls/movements/trauma the body may incur/perform/need to recover from (including a proper/diverse movement base that nourishes the tissues/nervous system, prepares for “worst case scenarios,” and is thoughtfully progressed/regressed as needed), as well as have the cardiovascular capacity to meet the explosive and potentially drawn out energy requirements a fight will bring. Even simply getting the body proficient at getting up and down without using the hands will pay off not only during a fight but much later in life as well. 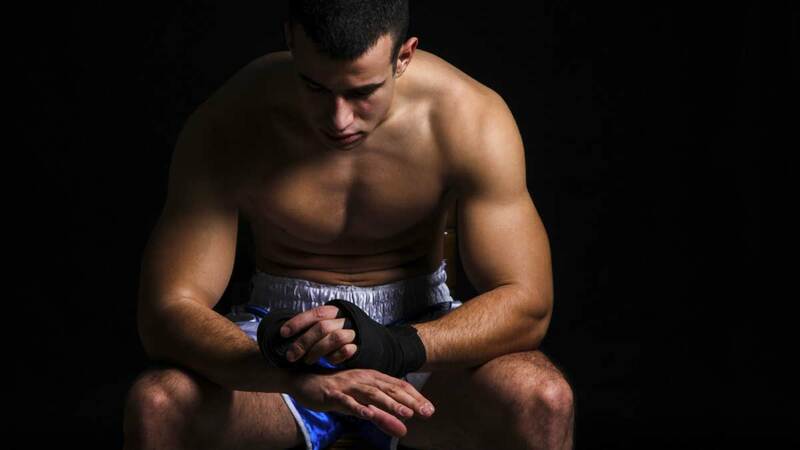 That’s not even getting into moderating energy expenditure and stress levels (breath control/emotions and their impacts on the endocrine system), the planning of the fight and prep, or even having to make weight, which is a conversation for another day. Now, you might be asking, what exactly are unconventional movements and unconventional tools? Glad you asked! 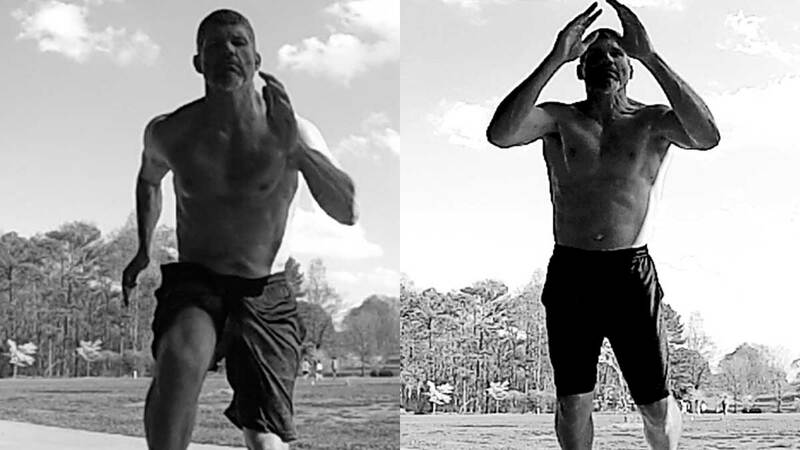 An unconventional movement is one that’s very multidimensional and we tend to find on a regular basis throughout sport and life, like how doing a waking pigeon is essentially going from mount into a top triangle, or like adding a heel lift in a staggered /shooter’s squat helps mimic the firing pattern of shooting in for a takedown (especially when adding some behind the head anti-extension at the bottom), as opposed to a conventional movement like a bi-lateral squat or lat pull down. They can often require one to use parts of the body not normally used as a base or a foundation while performing them, like the insides of your ankle and foot or outside of the hips. Every movement you encounter should be taken slow at first to build familiarity, and is as assisted as needed to be. Maintain a firm base, regardless of what it may be at the time, by constantly driving the floor away from you, as opposed to just resting on it, while taking the time to feel the difference between pain and discomfort. The clearer that becomes, the closer you can safely ride the edge of discomfort while exerting yourself to avoid true pain and the injury it brings. So, if you’re in shinbox or seated straddle position and you need to have a hand or two down to assist in maintaining position or adding movement, please use it! Just make sure you aren’t allowing the assisting limb(s) to compromise your structure and you don’t become reliant on the assist. Be honest and challenge yourself little by little. Or, if you can’t quite go all the way down into a squat or lunge without breaking form, only go as far as you can control. Don’t force anything and move with your safety in mind first, because fighting, and life, can bring us enough injury without our added help. Once the body can firmly overcome gravity within these positions and through these movements without any assistance from other limbs, then we can start adding an external load to unevenly add more mass to our structure and/or keep our hands busy. 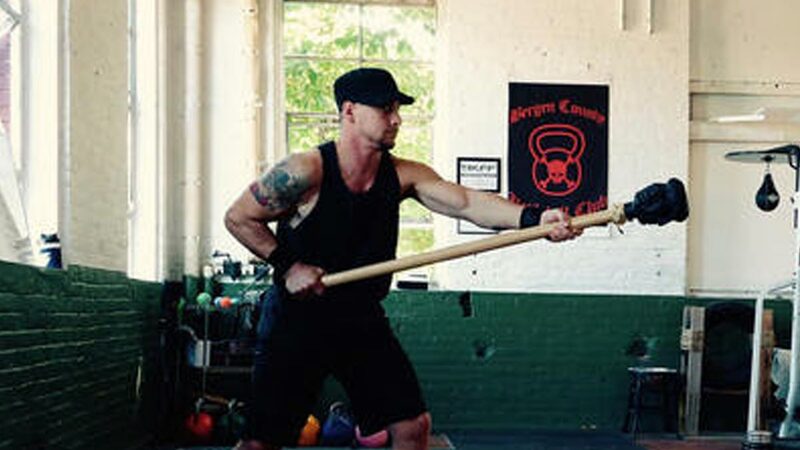 Unconventional tools include old time training tools like medicine balls, clubs, maces, sandbags, and kettlebells; the equipment that was once used for training athletes and soldiers way back when. There are several new and exciting innovations in the unconventional tool world now, but they are all generally the same concept. Many are oddly weighted and/or have some form of a shifting mass, which tend to mimic the loads that fighting and life will bring more appropriately than conventional weights where the mass is evenly distributed or is sometimes stabilized for you. Either one of these things can help an MMA fighter or anyone who fancies to train like one to reap the awesome health benefits, but with the (eventual) combination of the two, one can really take what the body is capable of to the next level. Each of the aforementioned tools can be held in many different ways and loads the body differently in just as many ways. In any case, that tool is trying to get back down to the ground, and it doesn’t care if you go with it. So you need to not only hold it up, but hold it up in the most stable and structurally sound way as possible even through movements. For example, if a sandbag is on one shoulder, don’t let it make you tilt over. Drive up into the sandbag and be as proud as possible. 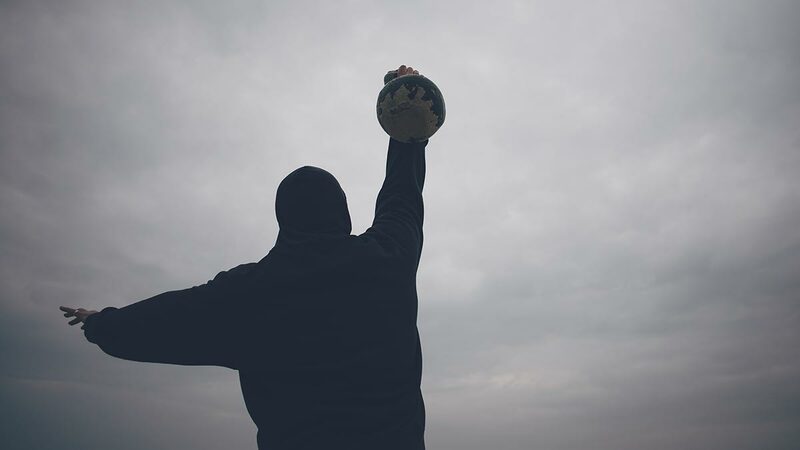 Or, if you’re holding a med ball out in front of you, don’t let it make you slouch or slide your upper back forward. Utilize the odd load to your advantage. Every tool can be used in multiple ways as well. The club alone can be held in a dozen positions as you go through your movements. 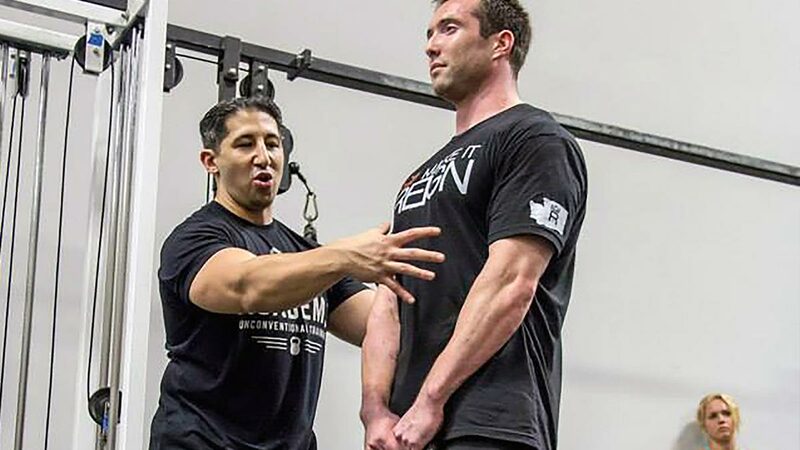 For the sake of this article, let’s use a single arm load for any ground based movements that need a slight assistance once loaded (like a kettlebell half rack or club loaded on the shoulder) so the unloaded limb can help. Once proficient in loaded ground based movements, or any movement involving a ground based segment, move onto both arms being loaded. This is, of course, well after being able to do these unloaded first. For any movement, which remains standing, keep both hands occupied to help mimic the “hands up” feel. For kettlebell, you can hold it by the horns. Clubs can be in “ready” or shoulder rest position. Med balls held right below eye level and sandbags in either a hugged Zercher position or balanced on top of the fists (bonus). Lastly, the mace can be held in an offset rack-like position. Be very mindful of how you pick up and put down whatever tool it is you are using. For each movement presented, like mentioned earlier, take your time to get your mind and body connected to each part of the movement. Become aware of what is moving and how you are supporting your load. Your feet are much more stable than your toes, so make sure your heels and forefeet are driving the Earth away and supporting you while standing instead of your toes. After using slow and decisive movements to prep the nervous system and tissues then using only as much as your body safely allows add external loads, ramp up intensity or volume, or do all three to start to condition the cardiovascular and hormonal systems. A nice format you can use is using the Tabata 20 on/10 off protocol. It’s short work and rest ratio allows for you to learn and play with one movement in a relaxed and repetitive format, adding volume (additional rounds/reps), intensity (reps/pace/less rest in between movements), or an unconventional tool as you see fit. Start with 4 rounds per drill (2 minutes) with 1 minute of rest in between a slow and controlled pace and work up to 10 rounds per drill of a loaded/high intensity pace, moving as quick as good form allows. You could even program it in a scaling fashion, using a shorter, low intensity days as a warm up for the longer, high intensity day to follow. A little prepping goes a long way. Where did Mace Training Come From?